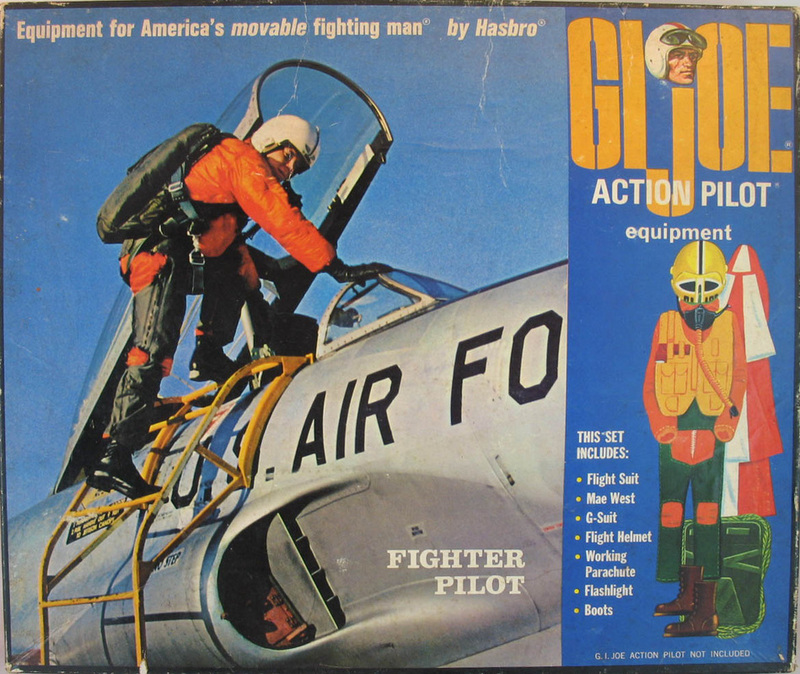 The Fighter Pilot (7823), introduced in 1967, went through several iterations and was on the market as Fantastic Freefall right through the Adventure Team era in the 70s. It's popularity was based on the amazing working parachute. Loosely roll it into the pack and throw Joe as high as you can, and you'll see the 'chute unfurl and safely carry joe to the ground, if everything goes right. Above, the very rare 1967 window box release of the fighter pilot. See an article about the restoration of this great piece of GI Joe history here. The 1968 photo box version of the set, below. 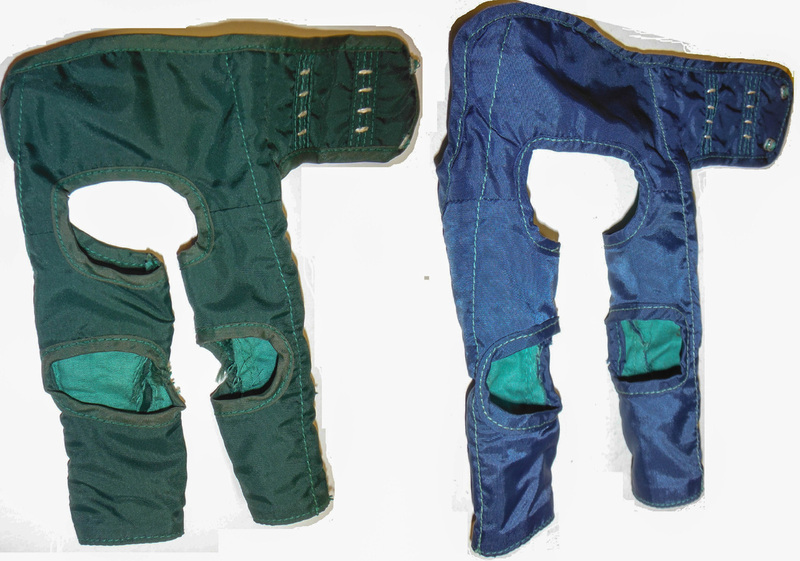 The G-Suit came in two or three variations of color, though some feel these are more or less faded versions on the same fabric. 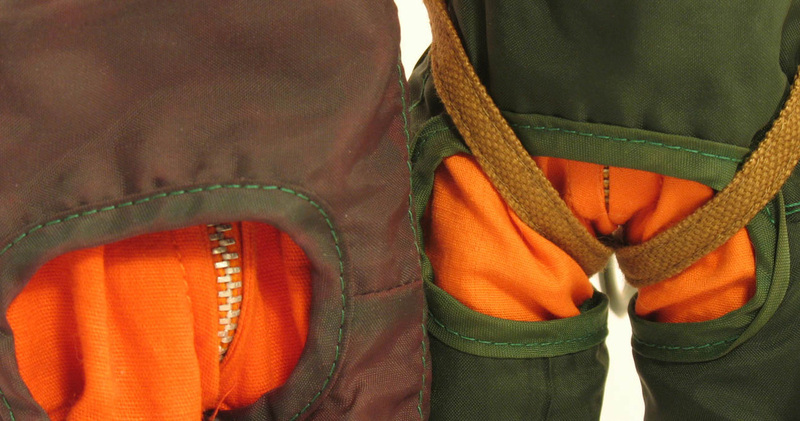 Shown above left are the purple variety and the standard green version. Above right, the green compared to a blue.